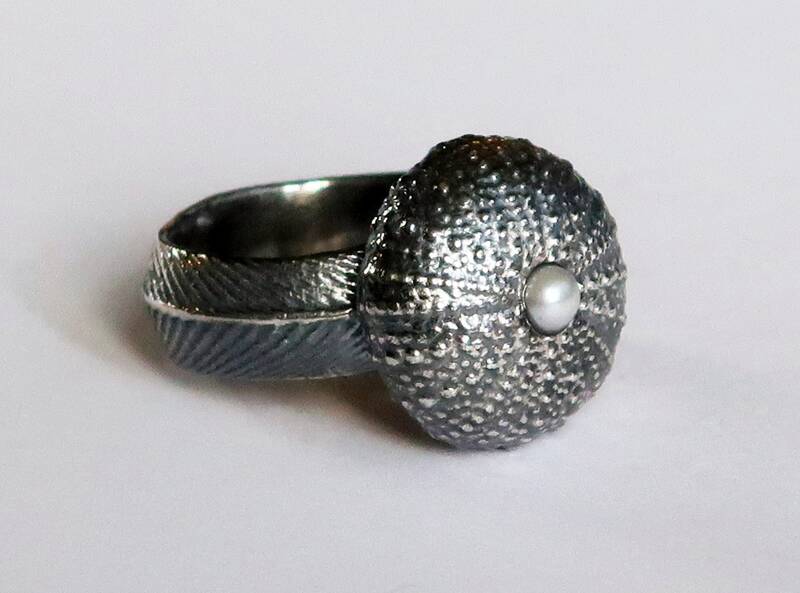 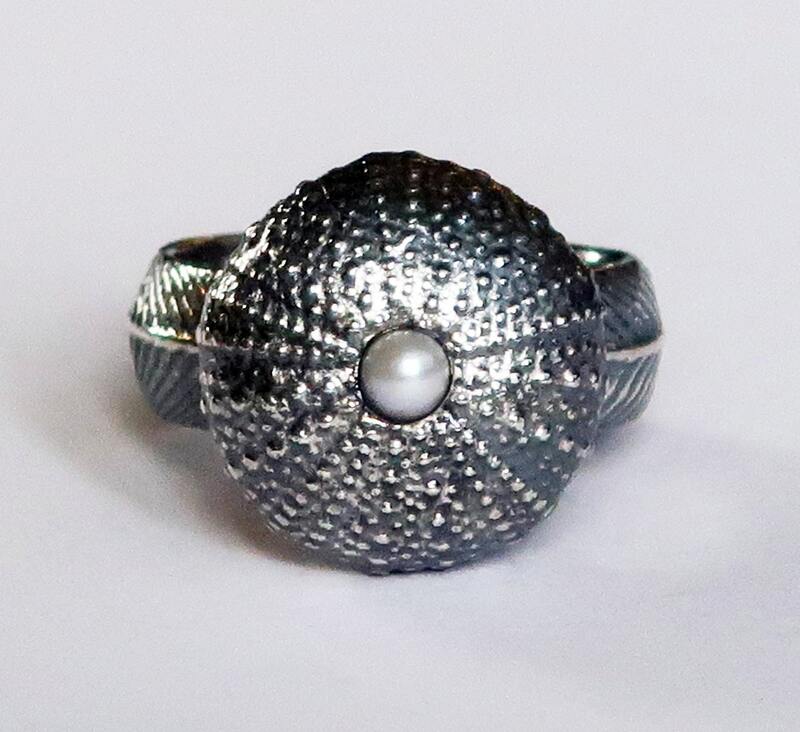 This sea urchin ring is cast in solid Sterling Silver, blackened and set with a 4mm cultured pearl. 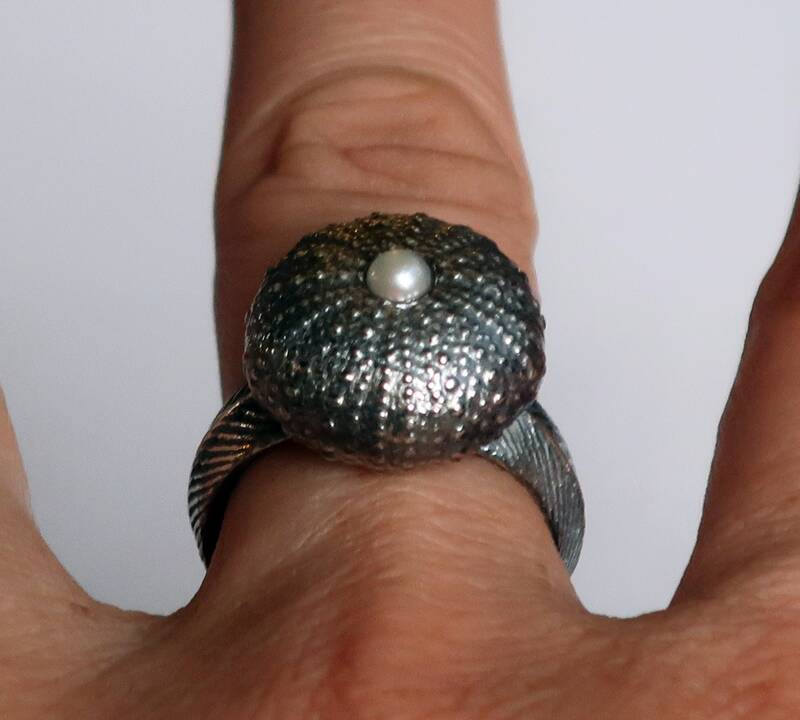 The urchin is perched atop a 7mm wide x 2mm deep cuttlefish cast band and measures approx. 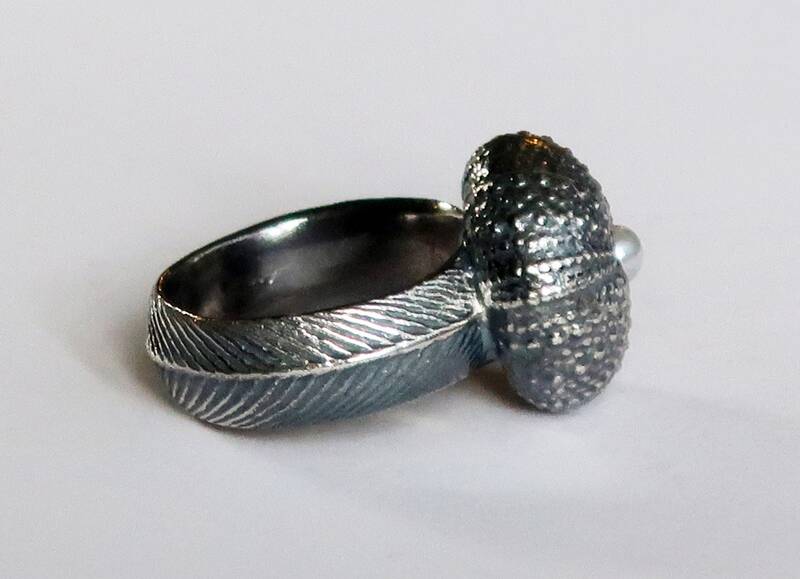 16mm in diameter x 8mm high. 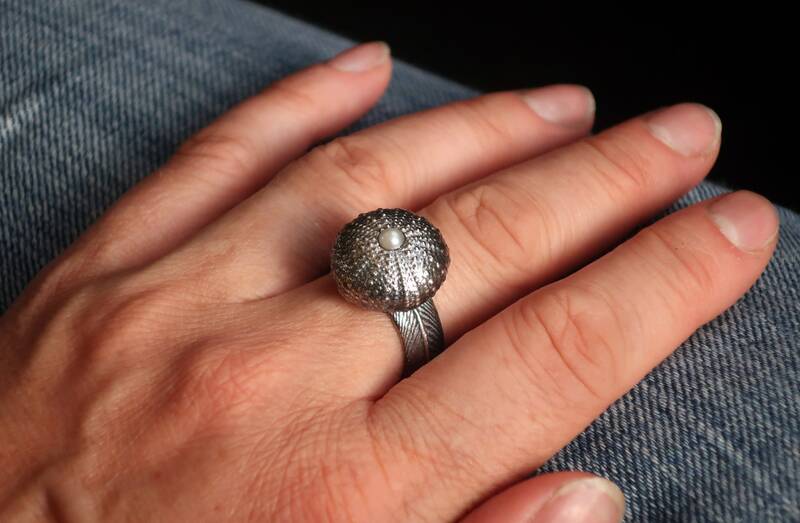 The original sea urchin that I had molded to make this ring was found by my great aunt on a Hawaiian beach in the 1950s. 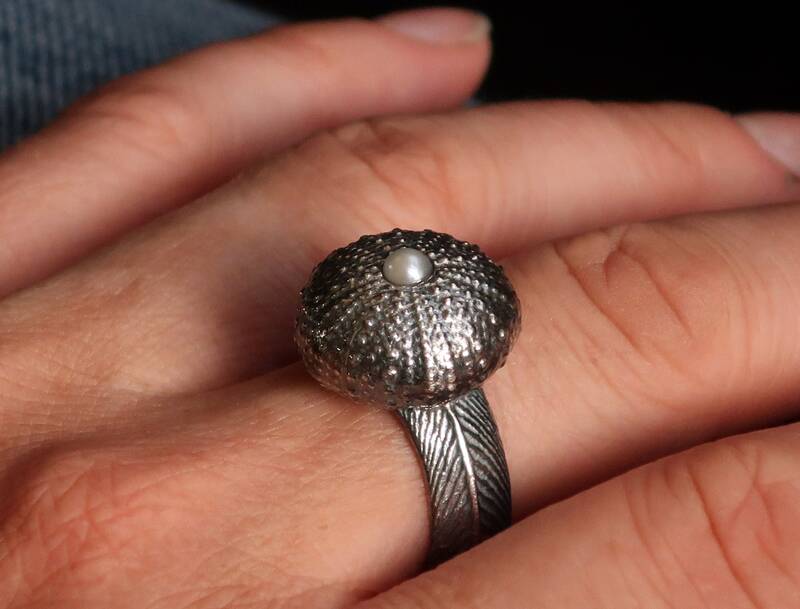 During her life, she traveled extensively and I was thrilled to find her shell collection at my parent's house this last summer. 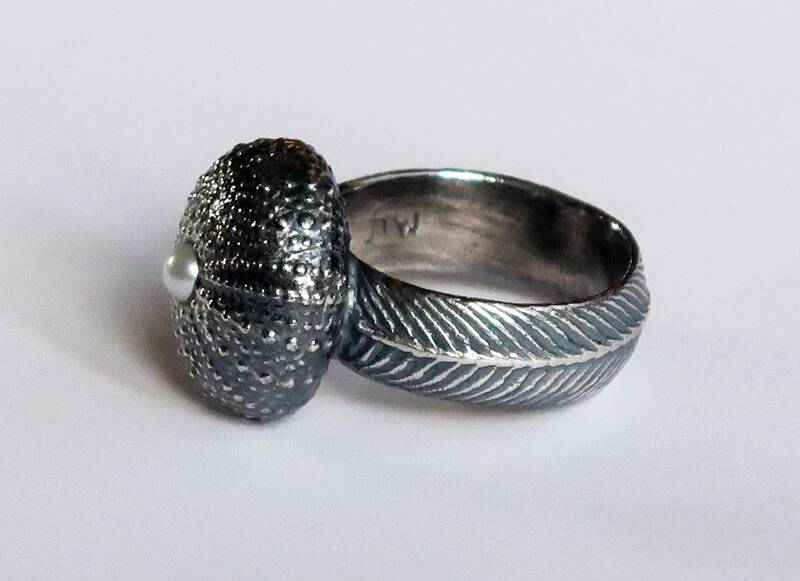 I have made a number of pieces using treasures from this magical collection of beautiful shells. 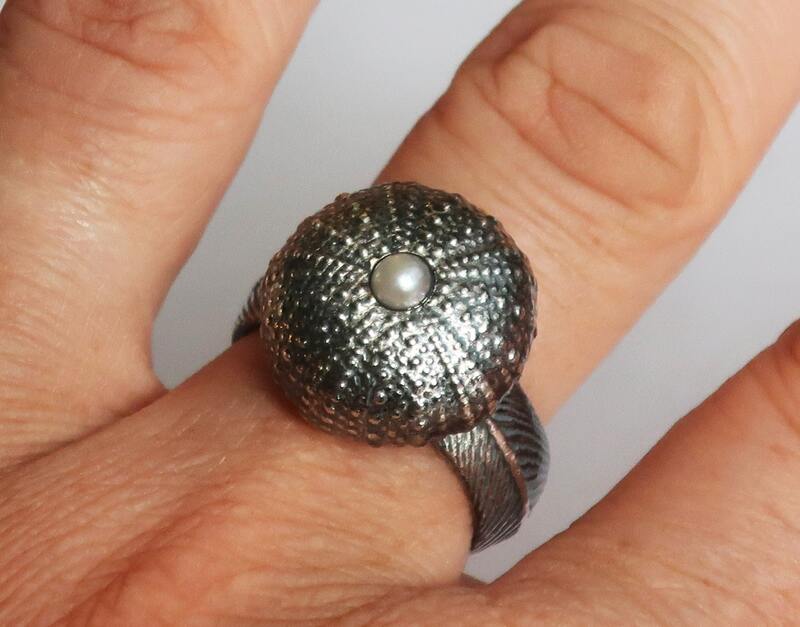 This ring can be worn alone beautifully but stacks well with other rings too. 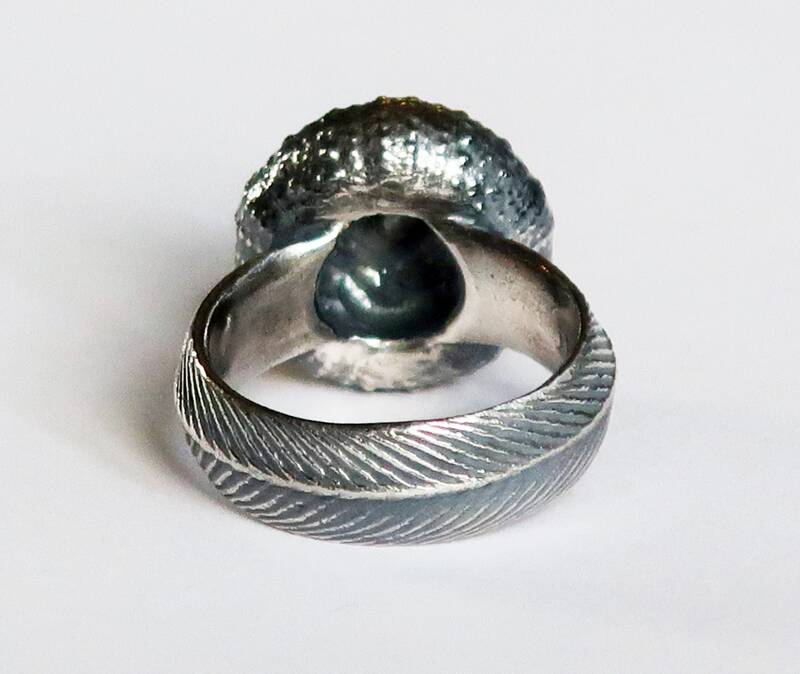 US size 7.75.